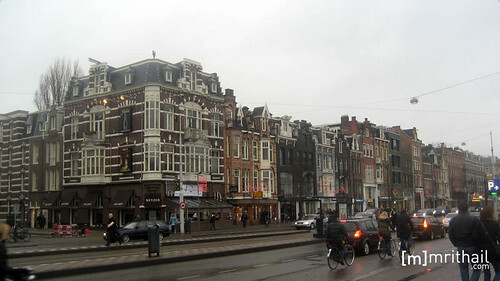 Fast forwarding since the last trip, I arrived to the Netherlands to visit my friend Craig (the author of the Espanish Tribute, which was created during these days), who showed me some cities of that marvelous country. 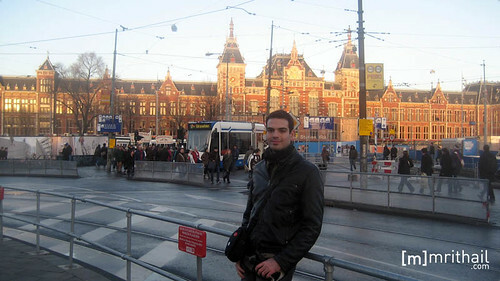 Amsterdam is located in the west of the Netherlands, on the shore of river Amstel. Aside from being the capital of the country, it’s also the largest city, with a population a little bit over 750,000 inhabitants. In it, you can find the oldest stock exchange in the world. The first settlement in the area appeared around the 13th century, as a fishing village that grew around a dam that was built across river Dam. Since then, the city became more and more important in time. It even became the wealthiest city in the world during the 17 century. The houses of Amsterdam reminded me a lot of the ones you can find in the downtown of Copenhagen (Denmark), with plenty buildings with just 3 or 4 stories, very colorful and a typical architecture you can find in the north of Europe. The presence of water in this city is quite important, and you can see plenty of channels spreading from the main river that crosses Amsterdam from one side to the other. The weather I could find in there during my stay (in mid January) was quite irregular. Some times you could find the sun shining, and five minutes later a heavy rain. Anyway, most of the time it was cloudy, and not as cold as I was expecting it to be. 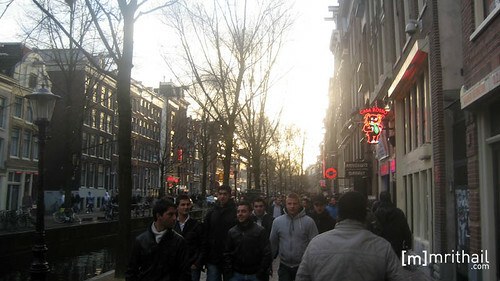 I think that Amsterdam is a really interesting city, with plenty of places to discover and to enjoy, and for sure it’s worth a visit. I just hope that the next one (because there will be a next one :D ) I can stay longer. P.S. : I’m having a problem uploading pictures to flickr… I’ll hope to be able to post pics both from Milan and from Amsterdam soon. 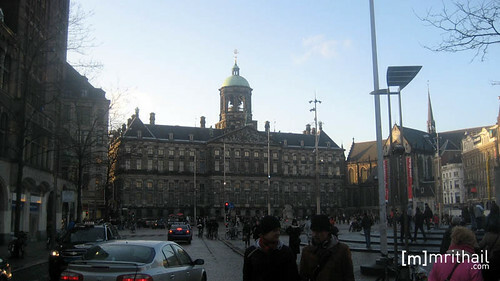 mrithail.com videolog: Dam Square, Amsterdam.